Malaysians hankering for some authentic dishes in Hong Kong now have a place to call home. Cafe Malacca in the Traders Hotel in Sai Ying Pun does a pretty good job at satisfying people's cravings for Penang Assam laksa, Hainanese chicken rice, klang bakut teh and beef rendang. 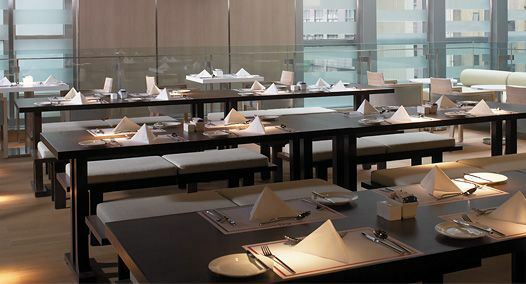 The restaurant is located on the second floor of the hotel, and it's no frills with long wooden tables and benches with cushions to promote family-style dining. It's quite a large space and on a recent Monday night there isn't much of a need to make reservations or was it because of the incessant rain? After we ordered, the dishes came relatively quickly in no particular order. 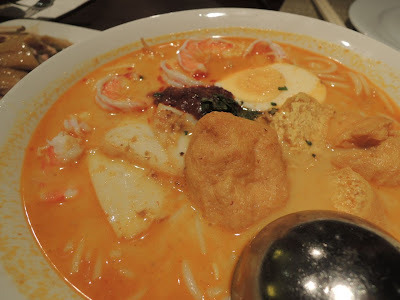 The Singapore laksa (HK$88) was not too spicy in a rich coconut milk broth, choc full of tofu puffs, slices of fish cakes, prawns and half a boiled egg mixed with rice noodles. This is a great comfort food dish if you're into soup noodles and very satisfying. We also liked the Hainanese chicken rice (HK$108), that featured a plate of boneless chicken that was very flavourful and tender, though portion-wise on the small side. It came with three dipping sauces, chilli, ginger puree and soy, along with chicken broth that had small cubes of tofu in it. Another good dish is the fried carrot cake (HK$63). 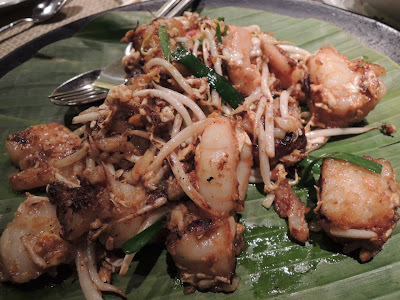 We don't know what it's called this when there's no carrots in it, but cubes of turnip, stir-fried with bean sprouts, prawns and preserved turnips. We're into this root vegetable so we enjoyed this hearty delicious dish. 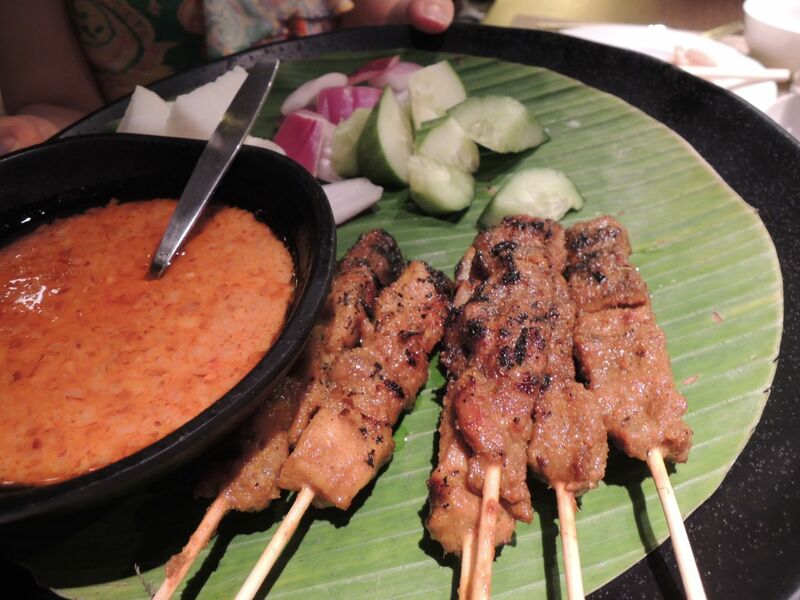 What makes the satays (HK$72) good here is the fragrant peanut sauce. Interestingly the dish comes with pieces of cucumber, onion wedges and rice cakes. 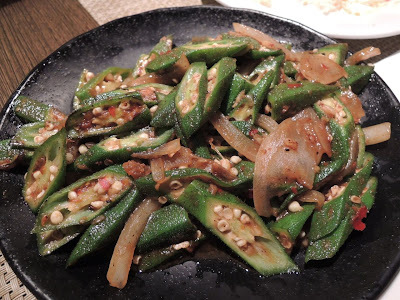 We also enjoyed the sambal belachan ladies' fingers (HK$45) or okra, that was sliced diagonally and stir-fried with chilli and shrimp paste. It was so popular, we managed to get the last serving of it that evening and it was only 7.30pm. Instead of a plate of water spinach, we opted for the fried eggplant with curry leaves (HK$45), but it's really deep-fried and is served with fried garlic, shallots and garnished with curry leaves. 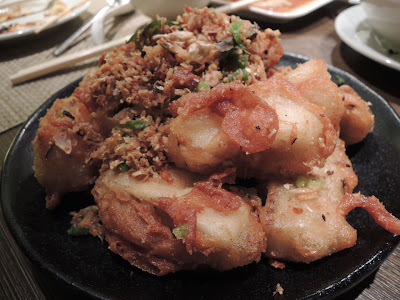 Other than eggplant tempura I don't think I've had deep-fried eggplant but it works well, a contrast of textures and flavourful too. By the end of it we were too full for dessert and in the end for four the bill came to HK$460. So if you're in Western district looking for a solid place for a bite to eat, look no further than Cafe Malacca. You won't be disappointed. 菜头粿 has always been called "carrot cake" for as long as I can remember... and don't satays ALWAYS come with cucumber, onions and rice cakes? All of above dishes are really awesome. I don't think so how can express my feeling to saw those dishes. 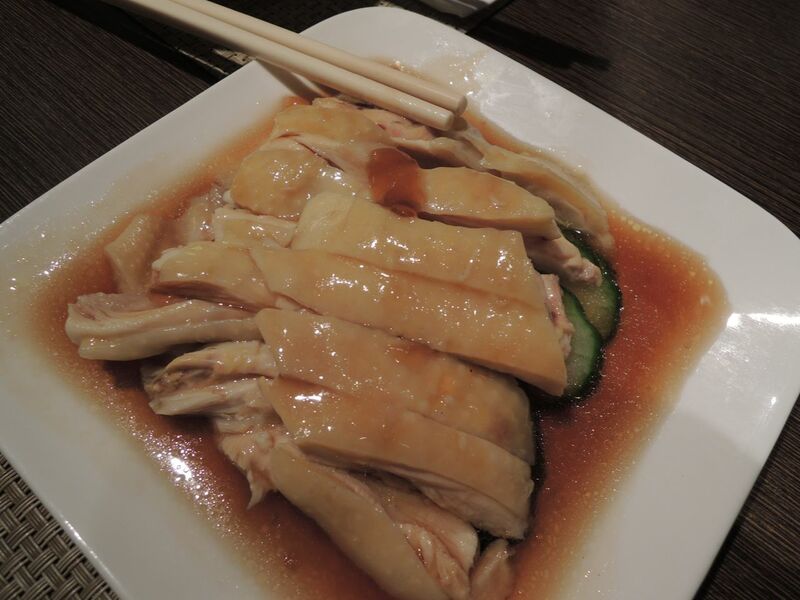 I think like Malaysia in Hong Kong those foods are also populer. 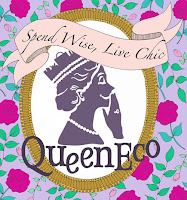 I just want to know the price for those dishes.For more info please visit here.